The Philippine President Rodrigo Duterte has been receiving overwhelming support from people all around the globe. This includes a netizen from the United Kingdom whose name has gained attraction for posting a lot of his opinions and comments in Facebook. Malcolm Conlan, is one of the many foreigners who have been interested and invested in Philippine politics. His Facebook page has a lot of followers for his political posts about Philippine affairs. Recently, Conlan has taken on commenting about Senator Antonio Trillanes IV. Conlan claims that the Senator is a “rebel soldier” and that he has not contributed anything to the development of the Philippines. But the British national does not stop there. 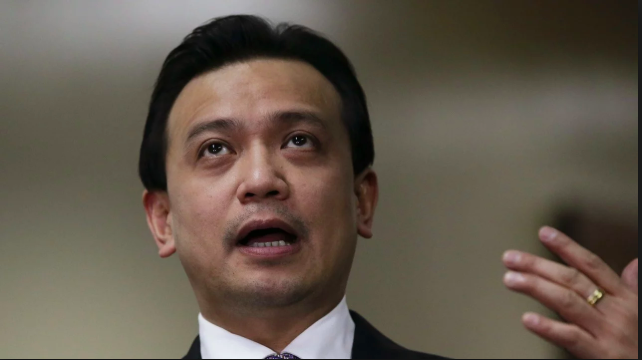 He says that even Trillanes military service of eight years was “unremarkable”. He adds that because of this things, Trillanes does not understand President Duterte’s work ethic. He says that Duterte works very hard and is passionate and dedicated. He adds that he has witnessed for himself how hard the president works. Giving examples of presidential duties like visiting victims of disaster stricken areas, and looking over law and policies of the land. Conlan feels that the accusation of Duterte being lazy is one that is unfair and not properly founded. He says that as much as the president works hard for the country, he also needs his rest. He says that even with these rests, the President still goes to his important meetings and appointments and does not miss it. 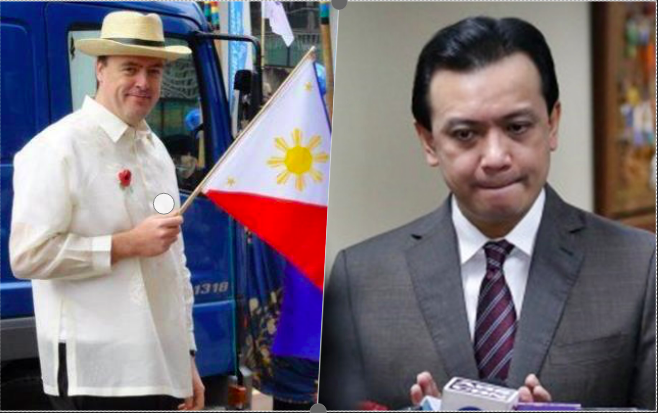 Ending his post, Conlan says that the Filipino people should not be worried about these accusations from Trillanes because the president is still fulfilling his duties and just taking a rest, as much as any regular person would. In an attempt to call attention to himself, the erstwhile rebel soldier has embarked in his usual publicity getting stunts by maligning the President. After spending eight years of unremarkable military service with no combat experience, he wasted the people’s money that paid for his schooling in the Philippine Military Academy by marching to a Makati hotel and infamously staging a failed coup and a rebellion that not only disrupted the nation’s tranquility but drove away investors as well, to the sufferance of the country’s economy. Not having spent the spartan way of life in the military with the industriousness, diligence, and discipline that a dedicated officer imbues himself with, he necessarily can not comprehend that a man like the President could work like hell as if there is no tomorrow, with the passion and dedication found only in men and women who consecrate themselves to the service of the nation without regard to the limits that their physique can reach. We have witnessed how this President has chained himself to a punishing work ethic that saw him shuttling back and forth to the provinces to attend to needs of the hapless victims of war and disaster stricken areas, to condole with - and assist - the grieving families of soldiers and policemen killed in the aftermath of rebellion and terrorist atrocities, raise the spirits of those engaged in law enforcements, stops the hands of clock as he pores over documents concerning governance till the wee hours of the morning, even as he directs the armed forces and the national police to dismantle the drug apparatus, to maintain peace and order, to stop corruption, and to run relentlessly against all violators of law as well as undertake measures to improve the economy. Likewise the President engages in foreign trips abroad to enter into trade agreements and defence pacts beneficial to the country. Despite the lingering pain caused by an accident that he constantly endures, he administers to the affairs of the state without regard to time and condition. With this kind of zest for work it becomes unavoidable that the President loses sleep that nourishes the body. In such a situation he will have no recourse but to take power naps between official activities. This was the situation when the President had to skip attending a few events in the ASEAN Summit that required him only to read prepared statements, a similar requirement given to the other heads of states, which task could be performed by the countries’ foreign secretaries or ministers. The event did not require his physical presence. President Trump sent U.S. Vice-President Pence to represent him in the ASEAN Summit because the former was unable to make it. Singapore Prime Minister Lee who was the Chairman for this year’s gathering had to be represented in two of the meetings he was presiding because he was indisposed. Their absence in those meetings did not make them lazy or seriously ill to perform their duties as Presidents of the their respective countries. President Duterte attended important events that involve the discussion of mutual concerns among the ASEAN members as well as meetings with other top leaders of non-ASEAN countries that affect the security, stability and economy of the region where he vigorously articulated and espoused ideas and theories that could bring about solutions to the Asian countries’ collective problems. 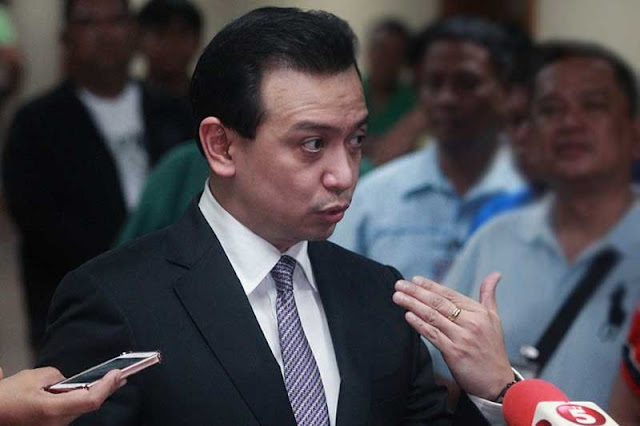 Unlike Senator Trillanes, who used the Senate as his sleeping quarters for a week without paying for his boarding just to escape from his concocted and imagined arrest, the country is getting its money’s worth by the President’s selfless dedication to his constitutional duty of serving and protecting the people. Accusation that the President is lazy or seriously ill to perform his functions as Head of State and Government just because he had to take power naps in between a few events to catch on some sleep and energise himself and avoid the embarrassment of dozing off during one of the meetings ( as one of a head of state pitifully succumbed to due to the energy sapping daily activities ) is a product of a witless if not a malicious mind. We take note, as we pointed out in an earlier statement, that the President was able to attend all scheduled events during Day Four of the 33rd ASEAN Summit and Related Summits. These include the ASEAN-India Informal Breakfast Summit, the 6th ASEAN-US Summit, the 21st ASEAN Plus Three Summit, the 13th East Asia Summit, and the Closing Ceremony for the 33rd ASEAN Summit. He also held a bilateral meeting with Japanese Prime Minister Shinzo Abe before he departed for Papua New Guinea to attend the Asia-Pacific Economic Cooperation (Apec) forum. We assure our people that the President is more than able to fulfill his commitment to the nation.